Jewish Home MK says residents of Judea and Samaria, who serve in the army and pay taxes, should receive services from government ministries. 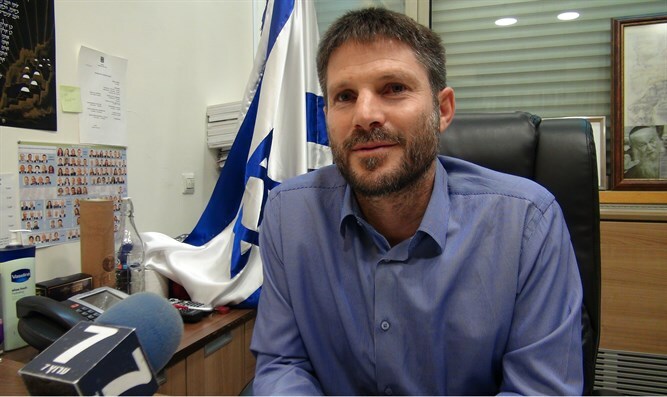 MK Bezalel Smotrich (Jewish Home) responded on Tuesday to a document written by an officer in the Civil Administration, in which she sought to harm the civilian services being provided to the community of Yitzhar. "The Civil Administration must be shut down now. This document reflects a political agenda that is hostile to the settlement enterprise and to the local residents, [an agenda] which unfortunately is expanding in this unnecessary body," Smotrich said. "But no less, it reflects a double standard: This is the same Civil Administration that for years has pushed for a policy of separation between Arabs involved in terrorism and the rest of the Arab population. Now it suddenly remembers to use collective punishment against Jewish residents,” he continued. The document in question was exposed on Tuesday evening on Kan 11 News. In it, the senior Civil Administration officer demanded that the assistance given by the Central Command to Yitzhar be stopped due to the fact that a marginal minority living in the outposts of the community sometimes attacks the security forces. The officer criticized Central Command chief Maj. Gen. Nadav Padan, who, she claims, seeks to assist in solving the civilian problems in the community despite the violence against the security forces. The document includes about 30 incidents which, the officer claimed, involved residents of Yitzhar and nearby outposts. These include an attack on a Palestinian Arab shepherd attack last February, rock throwing at Border Police forces in March which caused injury to a Border Police commander, and stabbing attempt against a Palestinian Arab ATV operator last March.